Set the Chanukah mood with a rocking family Chanukah concert with Joanie Leeds and the Nightlights! Bring home a piece of the festivities with Chanukah themed crafts. A versatile artist, Joanie Leeds is a gifted musician with a soulful voice that ranges from low and bluesy to high, light, and breezy. In addition to her secular popularity, Joanie tours the country playing synagogues, Jewish day schools and Jewish museums. Her Jewish music can be found on the PJ Library’s compilation. For more information please contact Trillion Attwood 410.732.6400 x215/ tattwood@jewishmuseummd.org or visit jewishmuseummd.org. Let us know you’re coming – RSVP on FACEBOOK! 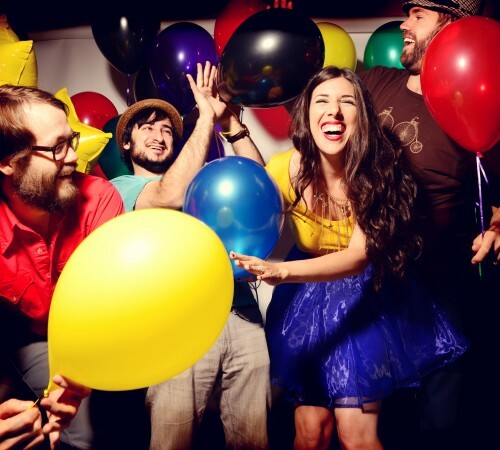 As one of the top nationally touring kindie rock bands, Brooklyn-based Joanie Leeds & The Nightlights have played for thousands of families all across the country. Singer/songwriter Joanie Leeds has won first place in the USA Songwriting Competition, an Independent Music Award, Gold Parents' Choice Award, NAPPA Gold Award and she has been a John Lennon Songwriting Award Finalist and an International Songwriting Competition Finalist. Her original music has been featured in People Magazine, Parents Magazine, New York Times and Washington Post. She is currently touring the USA promoting her 6th children's CD, Good Egg, and her tunes are played on many radio stations nationwide climbing up the chart to #1 on Sirius-XM's Kids Place Live and WXPN's Kids Corner. Joanie is also a PJ Library musician! For more information, please visit www.joanieleeds.com.